When you become a member, you’ll save $65 on each camp program and get other member benefits. Learn more. 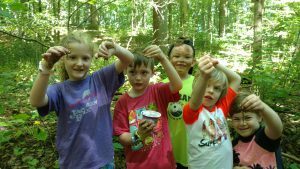 BRC offers scholarships for Summer Nature Camp at Myrick Conservation Center in West Chester and Saalbach Farm in Coatesville! Thanks to very generous donors, a limited number of scholarships are available for families in need of financial assistance. Scholarships are awarded on a case-by-case basis. Applications are reviewed in the order in which they are received. Criteria include but are not limited to household income, number of family members and special individual/family circumstances. Registration can be completed via paper form, or online. Click here for the waitlist.